Wine, an age-old drink made from the fermented juices of grapes, typically aged to perfection while in smoked wooden barrels so as to achieve a certain fragrance as well as taste, wine tasting is often viewed as a rather expensive task solely because of the fact that the process of making wine takes a lot of effort and time due to the fact that wine must be stored in a specific container and aged for several years so as to have the perfect taste and flavor. Most people who do begin the hobby of wine tasting will often be compelled to share or rather describe their experiences with other wine tasting colleagues via the most comfortable and easiest way available, through online websites and professional blog themes. As you will be reading through our post today, you will be introduced to several themes and designs you could implement on your website or Web blog themes, so read through this article for some helpful tips and insights on certain topics of interest. 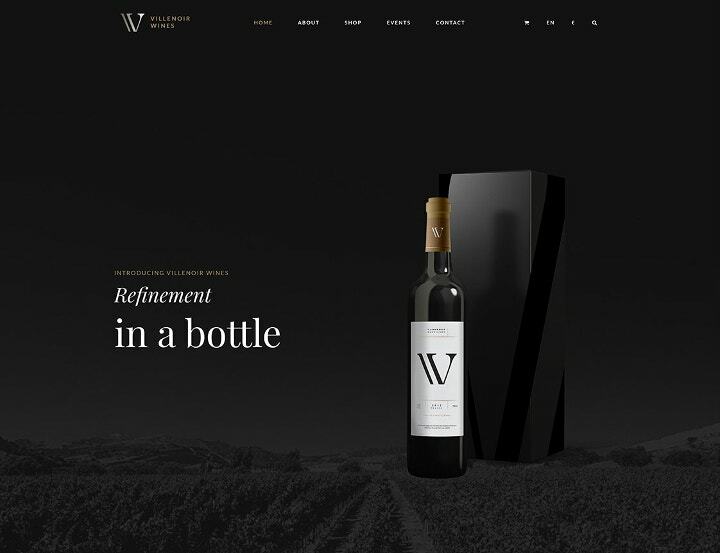 Luxury Wine, this WordPress theme is made with the idea of designing it in a modern and functional way in the sense that the website theme seems complex but is actually easy to handle and install updates. This theme was made with HTML coding as well as CSS3 codes so as to create a dynamic and easy-to-use website for both the user and the website manager. Purchasing this theme would allow you to have access to several features in correspondence to purchasing this theme. Features such as easy site management, different types of page layout, navigation options, and several more features that would help you manage and maintain your websites. Pretty hard to believe this can be one by using an HTML and CSS3 website. The first thing most viewers of any site will notice would be the main page, which will often be designed in a way to attract potential traffic. This is achieved through the combination of imagery and text. 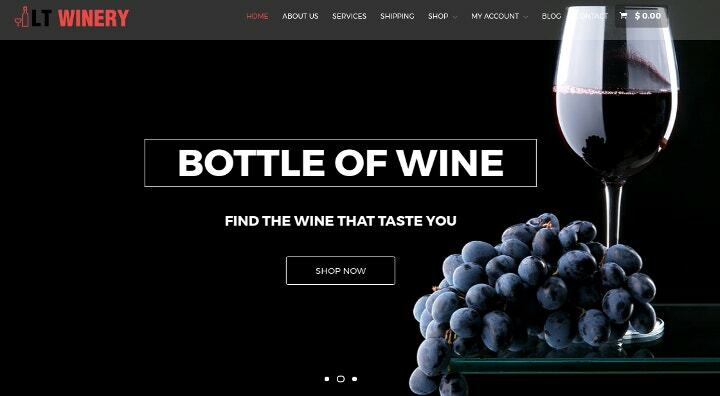 This is exactly what is being done with this type of wine website theme. 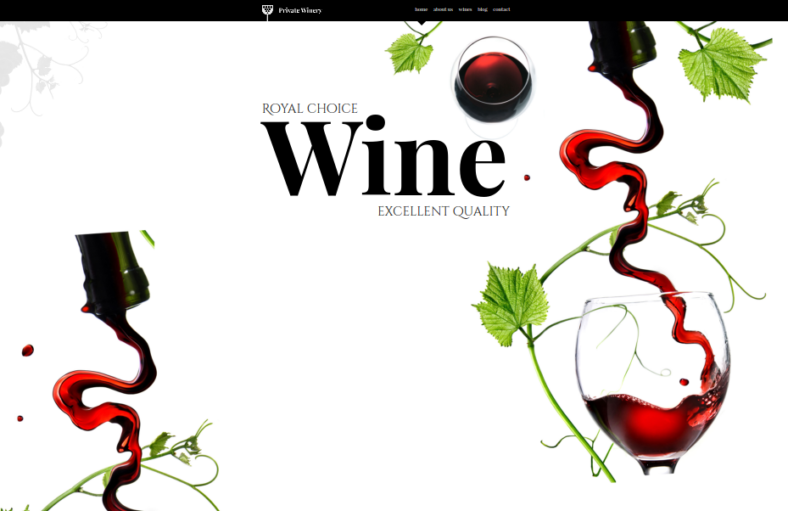 If you observe the design of the theme you will notice that the main page introduces the viewer directly to the purpose of the website by displaying different types of wine as well a wine glasses and grapes alongside some text that is written in a way to greet the viewer. Most website managers know that if you are to design a website or a Web page, then you will need a hook or something to catch the attention of the reader, thus the need for eye-catching graphics and certain formalities. The first thing any site visitor will see is the beautifully captured shot of a yellowish wine that is called rose wine. 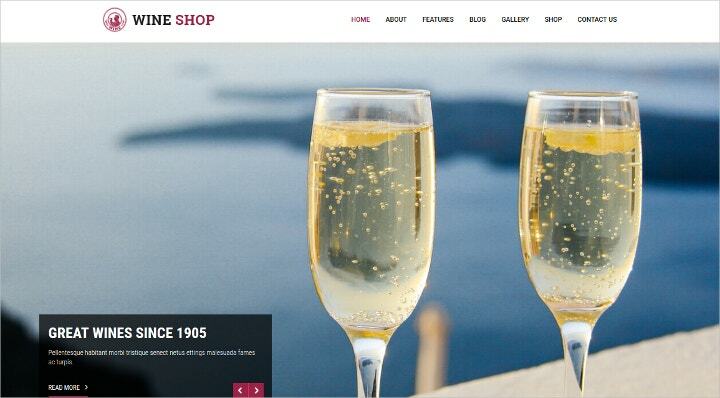 Rose wine is a type of wine that is made with little to no traces of the grapes’ skin, thus its yellowish or pale appearance—great way to start off a website dedicated to wine since rose wine is often described as sweet wine, which also describes that there is more than one type of wine. Purchasing this template would grant you access to the features that come along with this site, a very useful feature being the multilingual language packs wherein the website theme can be remade in any language so as to allow a broader diversity of viewers. At first glance, Wine Maker would have you directly identify this theme as a theme or a website dedicated to all things wine related. 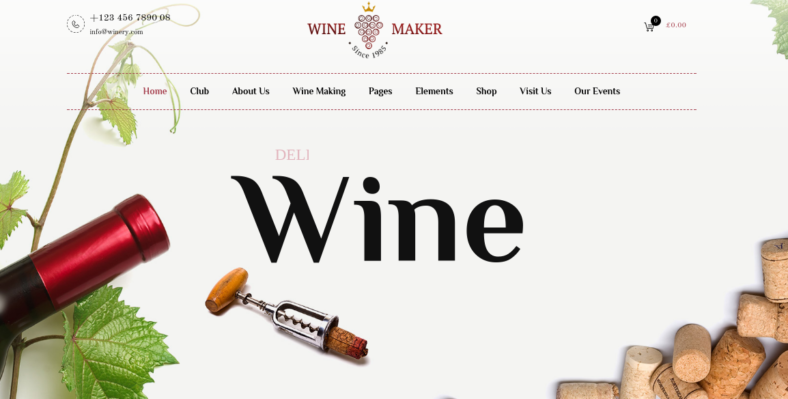 This can be assumed because of the way the entrance or the main page is made, because of the chosen image, which are a wine bottle label, a cork screw, and several corks. 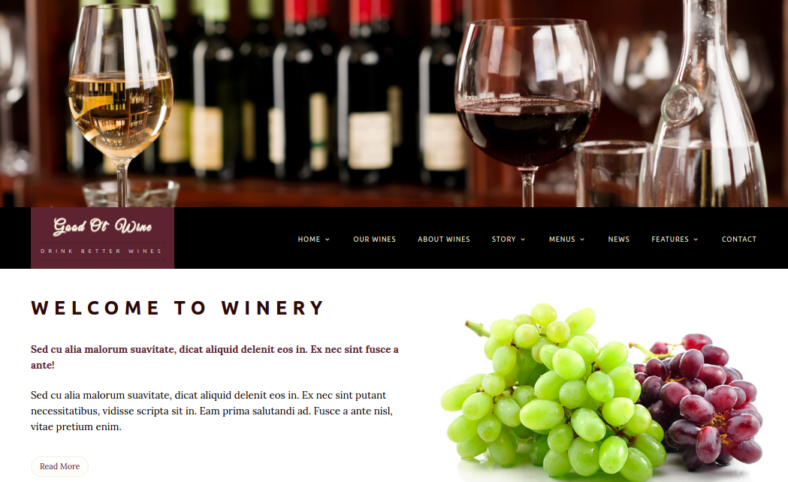 Aside from the main Web page design, you are also getting several features upon purchasing this wine wordpress theme. These features have a great deal of impact when it comes to maintaining and developing the website even further. An example of these beneficial features would be that upon purchasing this website theme, you are given access to use a visual composer that would allow you to more easily design and decorate your Web page with a simple drag-and-drop function. 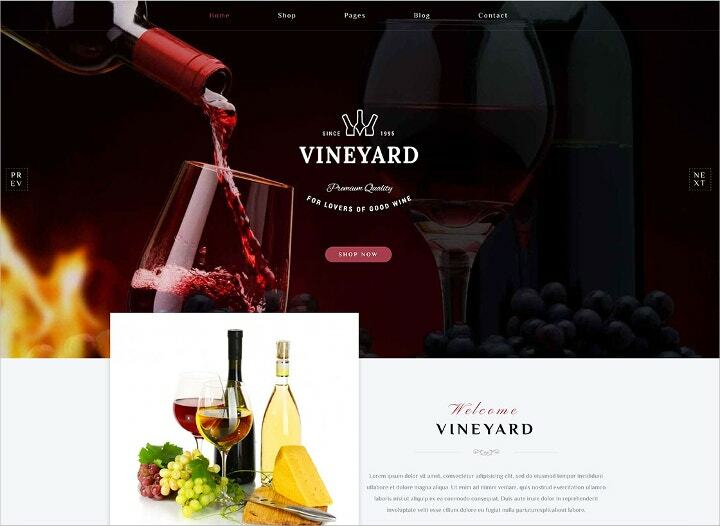 Although this wine website theme seems basic and simple, it is actually a rather effective way to identify the purpose of the site as well as to get straight to the point on what topics are being shared on the mentioned website theme. As the saying goes, simplicity is best. The design of the website is rather simple, but it actually holds several features for the benefit of the website manager, benefits such as an easy means of creation and installation of the website, free updates for life upon completion of a purchase, custom widgets, and add-ons, and many more features. 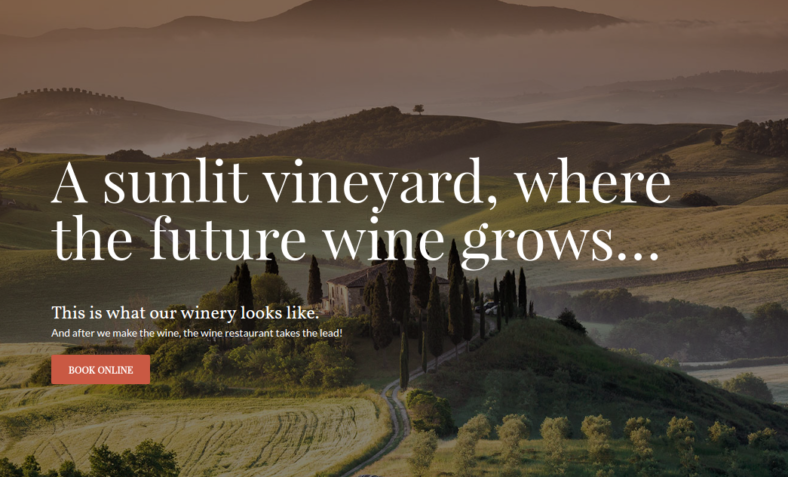 The image shown on the main page of the website gives a clear and obvious indication that this site has, at the very least, a topic or two about the production of wine as well as the process of aging the wine simply because of the fact that the image is showing a peaceful hillside that has several vineyards of grape being grown, as well as a short description that the vineyard is where wine will one day be made. Upon completion of the purchase for this professional website theme, you will be granted access not only to the image shown above but also access to tools and custom widgets that could help you manage and maintain your site in a stress-free and effective way. 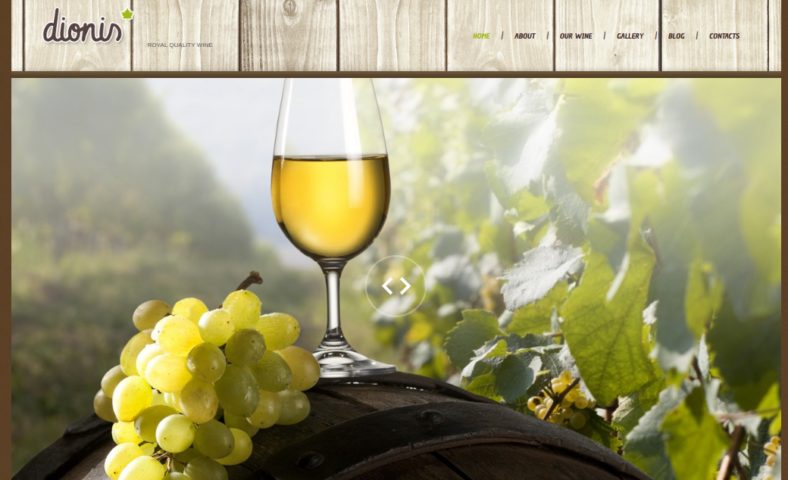 The design choice for this website is effective in terms of displaying the variety of wine available as well as locating or describing the origins of each wine variety, which would open as an interesting topic that each person who is interested in wine will enjoy. 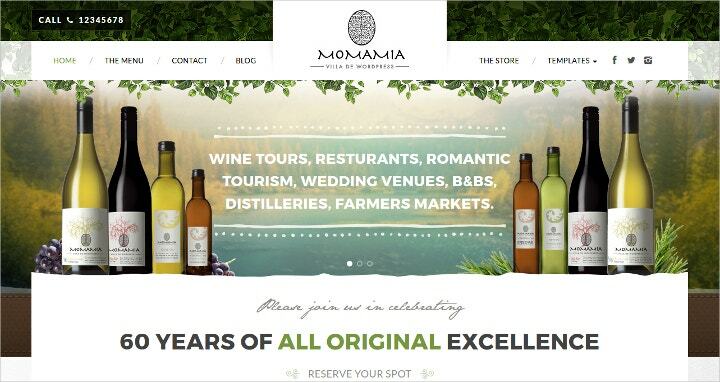 Aside from that, this type of site will allow you to write information pertaining to any of the available types of wine, which means that it would give you some diversity as to what you can write and update your site as well as keeping your visitors interested simply because they will always be having something new to read. 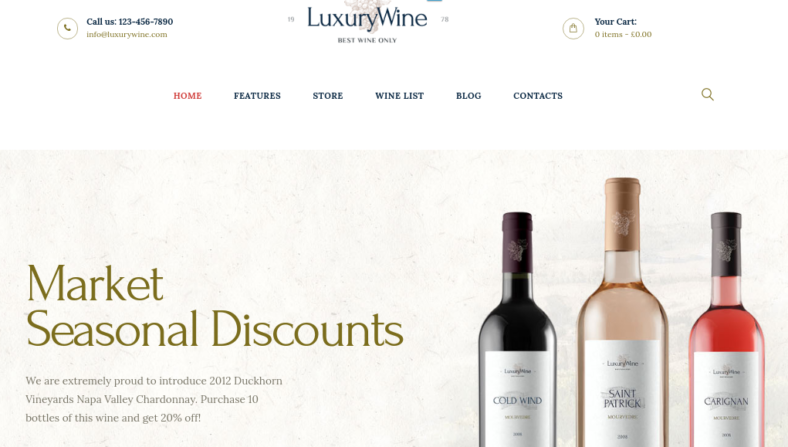 Aside from allowing you to have a diversity of any topics, you could use to keep your site interesting, this template for wine websites will also provide you with a variety of features. The most notable would be the color-changing feature wherein you can mix and create any colors into your Web page in order to create a new and exotic Web design. Drinking a pint of beer or alcoholic beverages is a favorite pastime for most nations around the world. This is mainly because of the fact that whenever there is the act of consuming an alcoholic beverage, there is a type of celebration that will be present that would justify the act of consuming the alcoholic beverage. 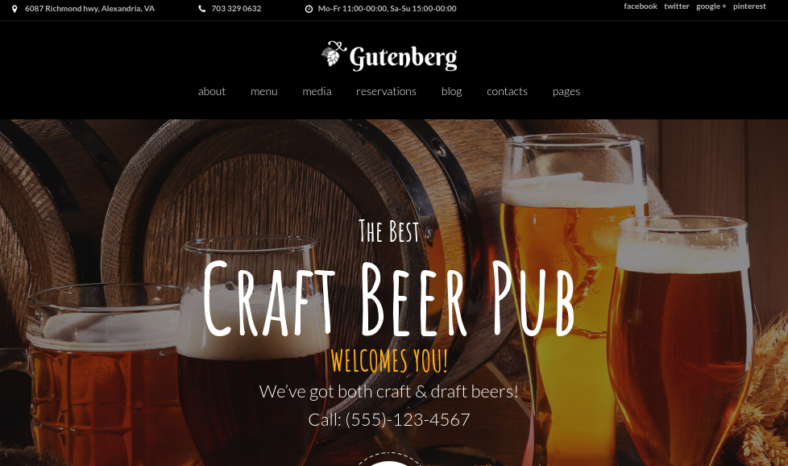 This type of template is often focused on creating a website that is aimed at allowing an organization such as a pub or a festival area gain some publicity as well as some form of promotion and reservation so as to have an organized festival. 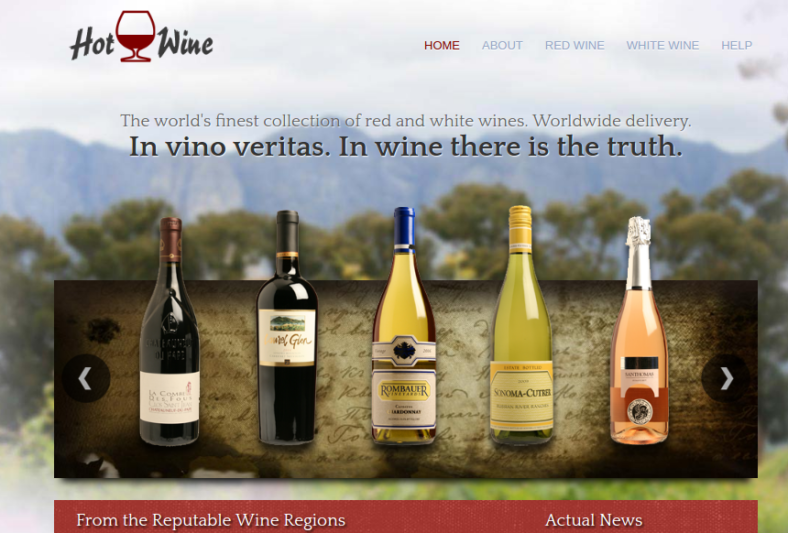 The main focus or purpose for developing this type of wine website would be to selling or distributing wine, which is beautifully captured in the image being shown on the main page, which showcases the wine in a glass, bottle, and a barrel that would indicate the wine is made there and is distributable or marketable in three different forms. 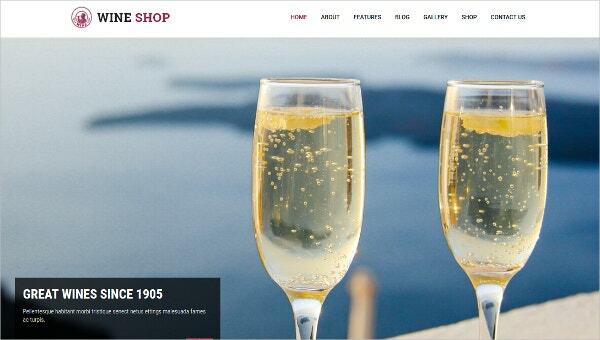 This wine shop website template is made with or rather coded with several Bootstrap framework along with HTML5 and CSS3 that would indicate that the site itself is made in a way that can allow a person to easily manage and maintain the site with little input whatsoever. It also has built-in features such as custom menus and professional sliders. Wine is great and all, but it takes too long to make and too much effort as compared to a certain famous drink known as beer. Beer is made in a brewery with barley, sugar, water, and even some yeast. The exact compositions may vary since it is often a trade secret, but we can all agree that beer has a strange yet lasting effect on people and is a must stay for people who wish to throw a festival or a party every now and then. 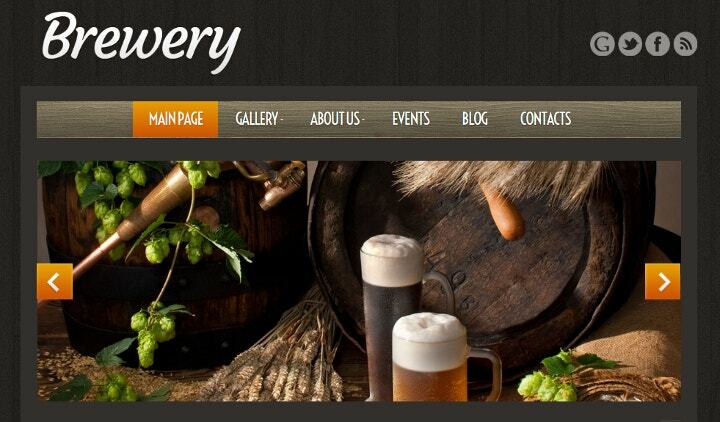 The template above showcases several pints of beer in front of a couple of barrels along with some barley. 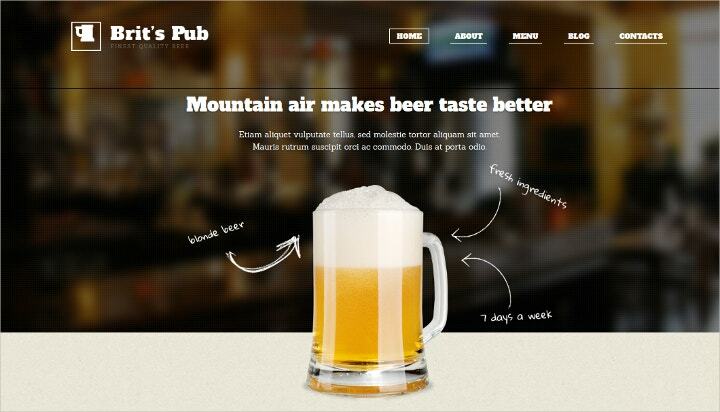 This image for the main page would have any visiting the site forget that they are on a website and might even be craving for a pint of beer. Beer, a mainstay in most American celebrations, it is one of the most consumed beverages in America since its first introduction. 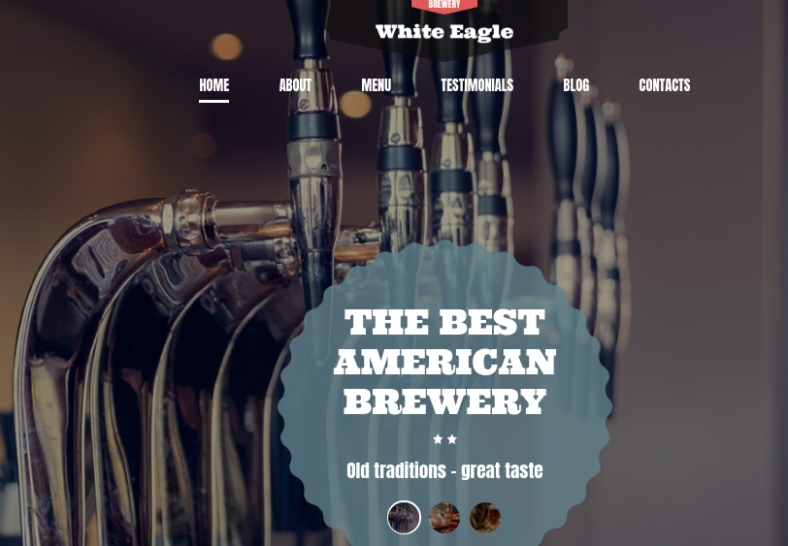 Americans love the stuff, so it would only be a matter of time when someone would capitalize on the idea to create a website that is dedicated to the distribution of information related to the said beverage. 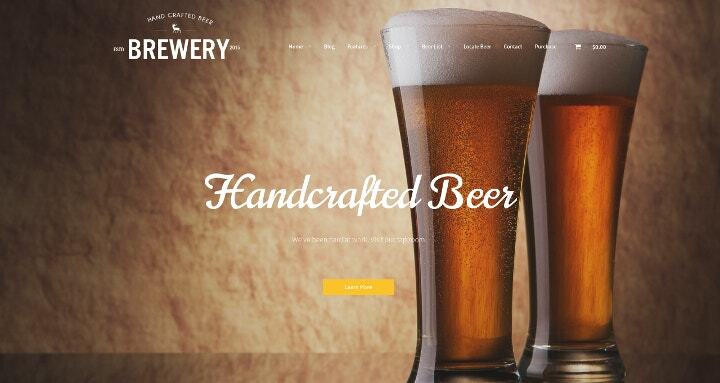 Implementing this web template to any site that you will be using for the purpose of displaying beer will be a surefire way to gain more attention or, rather, Internet traffic into your site, which will benefit the site manager—you. However, this template provides more than just a good idea, it also provides you with all of the needed features to make it easier for you to manage and run your site efficiently and hassle-free. 10 Top YouTube Channels for Game Development Tutorials in 2018! 19+ Illustrator Tutorials For Creating Isometric Illustrations! 6 Step Tutorial on Building A Joomla Business Website Without Coding!